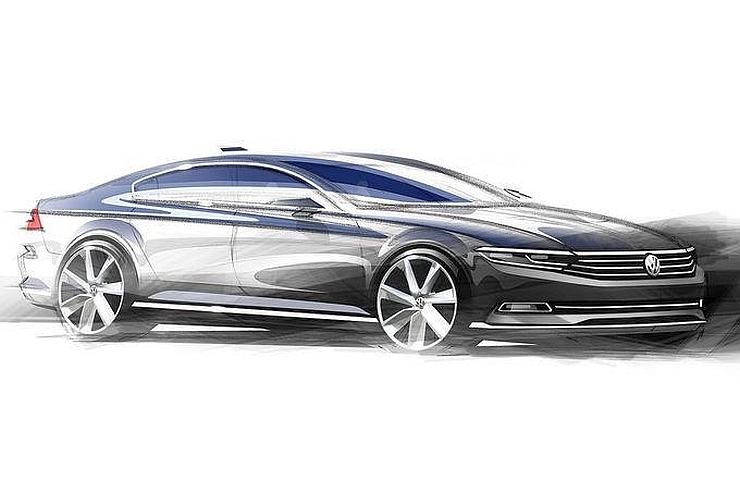 The 2015 Volkswagen Passat luxury sedan will be web-revealed on the 3rd of July, ahead of its Paris Motor Show unveiling. Volkswagen India is actively considering the 2015 Passat for the Indian market and the car is expected to arrive here early next year. The 2015 Passat will be imported into the country through the completely knocked down (CKD) kit route and the car will roll out from Skoda India’s Aurangabad assembly unit, alongside the Superb luxury saloon. A barrage of details have been released about the car, ahead of its web reveal next week. Jump right in. 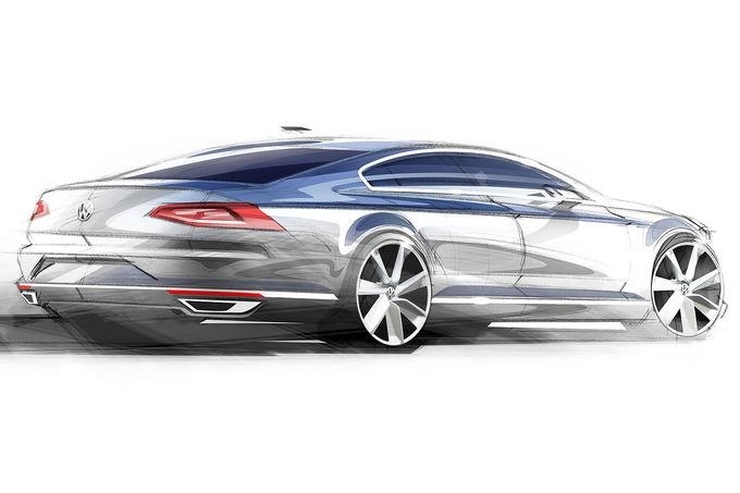 The 2015 Passat will be built on the Volkswagen group’s extended wheelbase MQB platform. The new car will be 85 kilograms lighter than the outgoing model due to the use of high strength, vacuum formed steel. 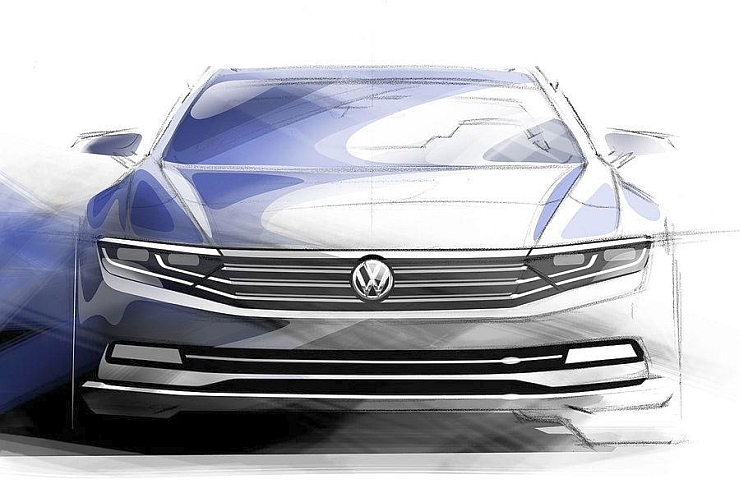 In its eighth generation, the Passat gets a major design makeover, with edgier styling that is major departure from the straight, very business-like lines of the outgoing model. A wider front track, coupe-ish profile, more pronounced wheel arches and a muscular shoulder line will define the new Passat’s design. Sharper styling elements abound on the new car, with both the LED head and tail lamps getting an once over. On the whole, expect a much more aggressive looking car. In terms of overall dimensions, the Passat won’t get any larger. In fact, the 2015 car will be a couple of mm shorter than the outgoing model. However, space on the interiors will be maximized by means of the longer wheelbase that the extended MQB platform facilitates. 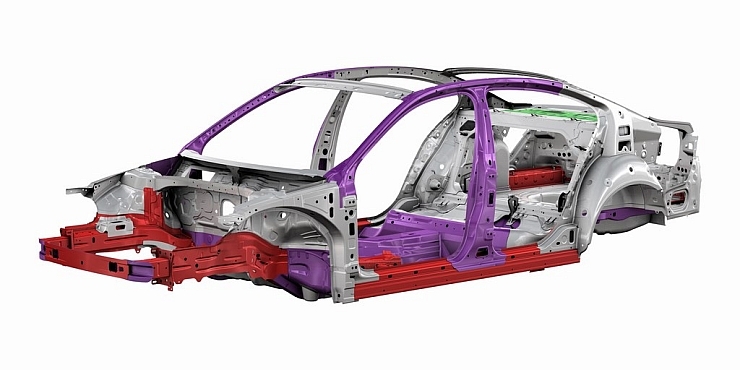 The longer wheelbase will give the 2015 Passat 33 mm more room on the inside, making for a more spacious car. The additional space within a shorter form factor will appeal to luxury saloon buyers who want a car that isn’t too long for tight parking spaces. Mechanically, the 2015 Passat will gain new engine options including a plug-in petrol hybrid variant that will arrive sometime next year. All engines on the 2015 Passat will be turbocharged. The petrol line up will feature the 1.4 liter TSI motor in 122 Bhp and 148 Bhp guises. The middle variants get the 1.8 liter TSI petrol motor in a 176 Bhp tune. The top end petrol model will be powered by a 2 liter TSI turbo petrol engine that is available in 216 Bhp and 276 Bhp states of tune. 6 speed manual and 7 speed DSG dual clutch automatic gearboxes will be offered with the petrol engine line up of the Passat. All new TSI petrol motors used on the Passat have been tweaked to work with the MQB platform. In terms of diesel power, the Passat will host a 1.6 liter TDI motor good for 118 Bhp while the 2 liter TDI turbo diesel motor will be offered in 147 Bhp, 186 Bhp and 236 Bhp states of tune. The top end 236 Bhp version of the 2 liter TDI motor will get twin turbochargers, while the other two motors will have a single turbo. The MDB (modular) range of diesel engines on the 2015 Passat will get 6 speed manual and 7 speed dual clutch DSG automatic gearboxes. Start-stop, brake energy regeneration and low resistance tyres are likely to be offered on many variants of the 2015 Passat as fuel efficiency boosting measures. Both front wheel and all wheel drive variants of the Passat will be sold. In terms of features, the 2015 Passat will gain a Traffic Jam Assist, a feature that will allow the car to crawl behind other cars in traffic jams. The car will also feature full LED head and tail lamps, parking assist, an array of safety features, a touchscreen infotainment system and a new instrumentation console. The new Passat is likely to be more expensive than the outgoing model owing to the slew of new features and more powerful engine options. The car will continue to compete with the likes of the Honda Accord, the Toyota Camry, the Hyundai Sonata and the Skoda Superb.